eed an exclusive venue to host your next corporate event? 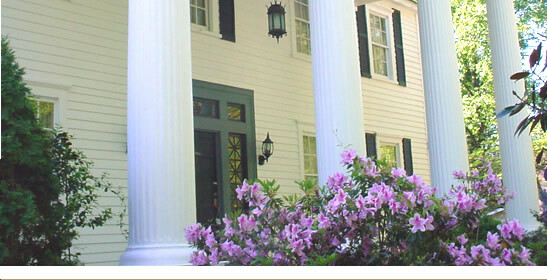 Cascade Mansion & Garden is a historic private residence available for special events; e.g. private parties, receptions, weddings, client appreciation programs, corporate retreats, business or club meetings and much more! Nestled in one of Atlanta’s most prestigious urban neighborhoods; Cascade Heights, our elegant private residence will certainly take your breath away. This historic home provides both the privacy and ambiance for intimate settings, grand soirees and corporate events. Characterized by Antebellum-style architecture with graceful fountains cascade through five beautiful garden pavilions, we are tucked away on 2-acres of prime real estate inside the city limits of Atlanta, Georgia. Built in the mid 1870’s, the Cascade Mansion and Gardens is being considered as an historic site by the Georgia Historic Preservation Society. Stately white columns greet you as you enter this magnificent home. You will be pleased to know that we are located less than 20-minutes to downtown Atlanta and to Hartsfield-Jackson International Airport. Both Interstate 20 and Interstate 285 are less than 2-miles away, making us one of the most sought after private facilities in the city. The Cascade Mansion and Gardens has preserved its quaint southern charm while making a modern whimsical statement. Whether you’re personal style is romantic or classic, traditional or contemporary, our facility lends itself to many unique settings. At the Cascade Mansion and Gardens you will have an opportunity to select from one, two or all three levels of the home for your next enchanting event. Our staff and vendors will provide you all inclusive packages for a worry and hassle-free professional function for a most elegant event. You are currently browsing the archives for the Sponsored Posts category.